Impact plastic trumpets for durability. Hella's Dual-Tone Air Horn is the perfect add-on to any vehicle. Impact plastic trumpets for durability. 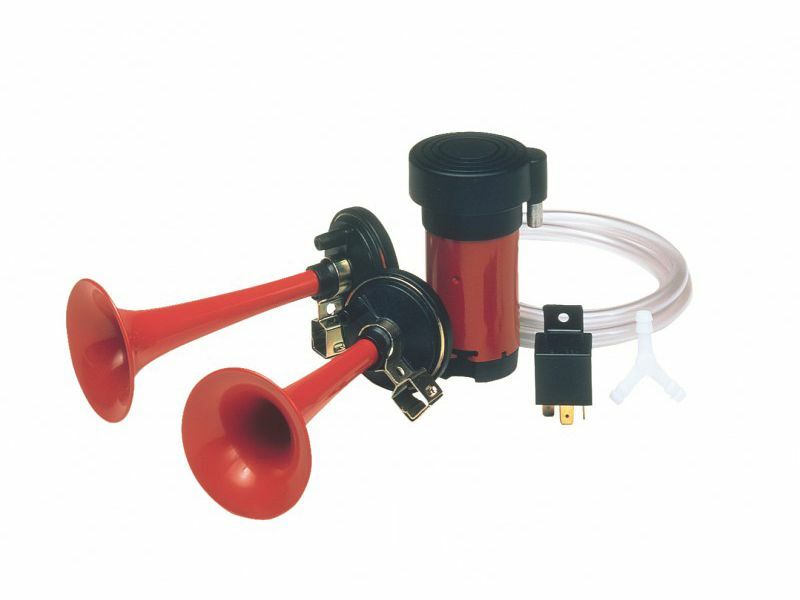 The Double Air Horn Kit includes 2 trumpets, air hose, a relay, mounting hardware and a high performance compressor with a built-in air filter, mounting brackets and installation instructions. Air horns use a reed and have a trumpet like sound. The components are larger and more difficult to mount in today tightly packed engine compartments. Air horns should be mounted pointed forward and slightly down so that no water builds up in them.